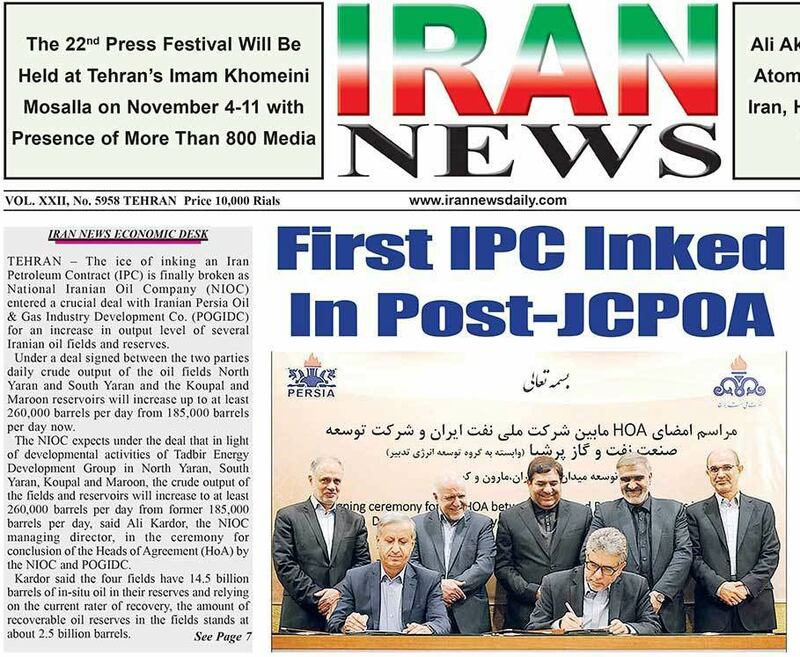 Iran's state oil producer, National Iranian Oil Co. (NIOC), has signed a new model investment contract with an Iranian firm. The contract with the Persia Oil and Gas Industry Development Company is seen as a template for contracts that Tehran hopes will attract foreign investors back to Iran's oil and natural gas sectors and boost production after years of economic sanctions. NIOC agreed to the framework of a $2.2 billion deal to boost output at three fields along the country's border with Iraq, Oil Minister Bijan Namdar Zanganeh said on October 4. Zanganeh said the contract is part of a deal that would set the framework for a final agreement to be signed in the coming months. The sanctions against Iran were lifted in January following a nuclear deal with world powers that curbed the country's controversial nuclear program. Iran, which is a member of Organization of the Petroleum Exporting Countries (OPEC),is seeking to raise its crude output to pre-sanction levels of 4 million barrels per day.